We all have passwords for everything we do these days, we’re told to make them complex and then we forget them, so we write them on a post-it note and attach it to our screens! or write it in the back of our diary backwards because nobody else does that and they will never work it out! Well here’s a novel way of remembering, how about using a ‘pass phrase’ rather than a password… For example ‘Buy 6 eggs on the way home!’ easy to remember, complex to guess and you won’t forget the eggs either!! Bank : Is this safer for my £1000s than under the bed! Tesco : Don’t forget to buy 6 packets of sweets. Work : Working 9-5 what a way to make a living! 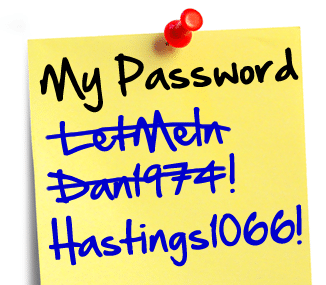 The usage is limitless and produces a nice way of remembering your passwords. If you must write them down we recommend using an Excel document that is password protected, if you use the latest excel format (.xlsx) then the encryption used on the file is actually very secure and not easily broken. 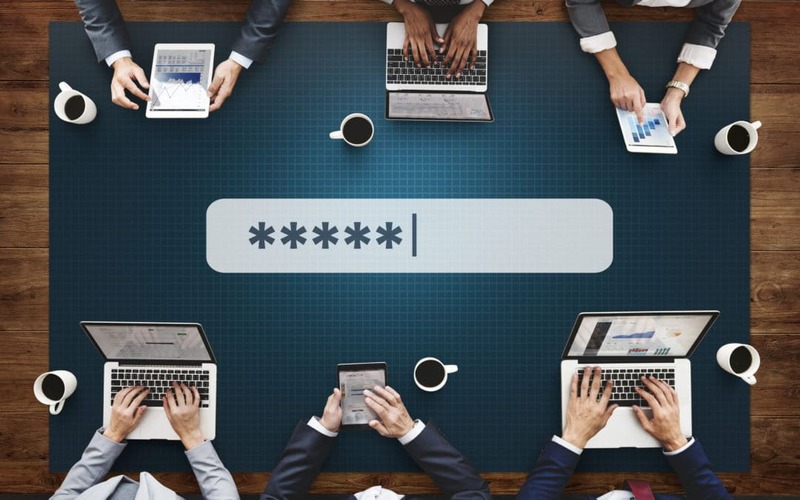 The NCSC (National Cyber Security Centre) recommends that you have a separate password for personal and work related systems, this is a very good practice.